RANCHO CUCAMONGA – Garrett Schilling struck out 10 batters, and the JetHawks survived a late Rancho Cucamonga surge in a 9-8 victory in the series opener on Thursday night at LoanMart Field. The win was Lancaster’s second-straight after losing six in a row to start the season. The JetHawks jumped on Rancho starter Bryan Warzek (0-1) who lacked command in his three-inning start. The lefty walked three batters in the first inning, and Matt Hearn scored on a Luis Castro single for the game’s first run. Lancaster seemingly broke the game open with a four-run seventh inning. Ryan Vilade doubled home two runs before scoring on Todd Czinege’s first home run of the season. Golden led off the ninth with a booming home run to left, his second of the game. The ball traveled an estimated 450 feet and left his bat at 112 mph. 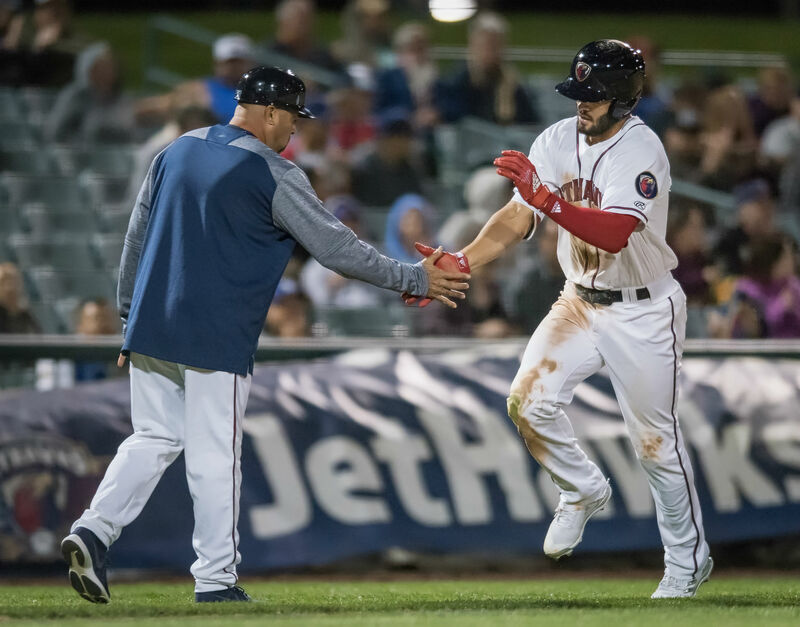 It marked Lancaster’s first multi-homer performance of the season, and Golden leads the Cal League with four home runs through eight games.